When select brands really save up for a product launch, you may end up seeing the same shiny bottles absolutely everywhere. 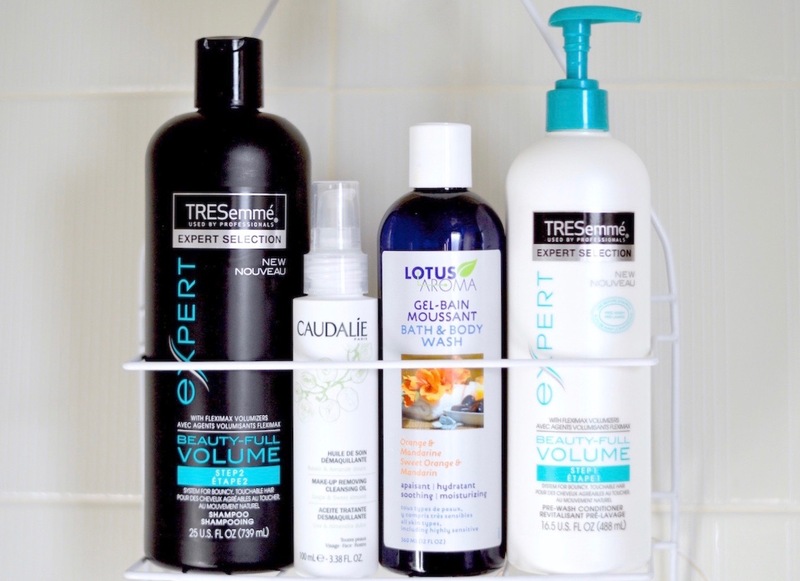 TRESemmé recently launched a reversed conditioner-shampoo duo that is completely unique. I got this set as a press sample, and I now have a backup from a different gift bag. There was a pop-up shop downtown this spring to promote the new line, and it was featured in every magazine I subscribe to. So start off by wetting your hair and layering on a few pumps of the conditioner, brush it through your locks, then rinse it out after 2-3 minutes. (This is when I'll wash my body). Finish off with step 2, the light and lathery shampoo, which you will massage and rinse like usual. I have fine, oily hair that needs to be gently washed daily. I was skeptical at first, but I can now confirm that this new routine has left my hair so silky, bouncy, fresh and easy to style with some texture cream, dry shampoo and hairspray. This is a simple yet delicious body wash that smells so summery and works like a charm. Canadian made and gentle enough for my sensitive skin, I would definitely recommend Lotus Aroma body wash collection. Check out the other natural fragrances here.